Set up your 4-weekly Schedule as required and click Continue. 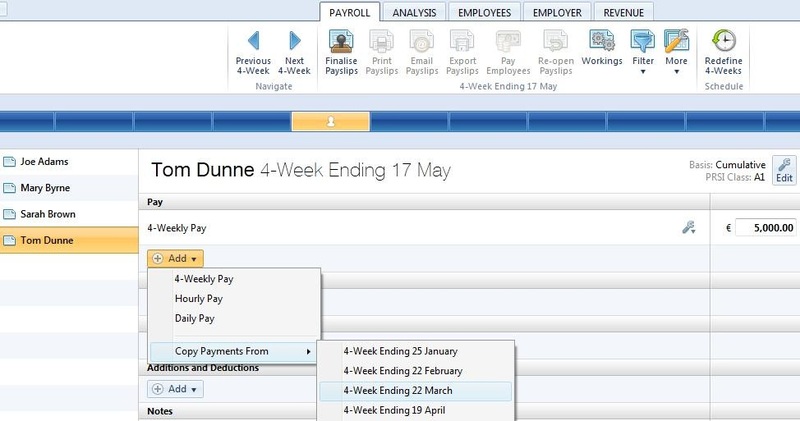 To edit an employee’s PAYE/ USC/ PRSI information, an ‘Edit’ button is available on the employee’s payslip. 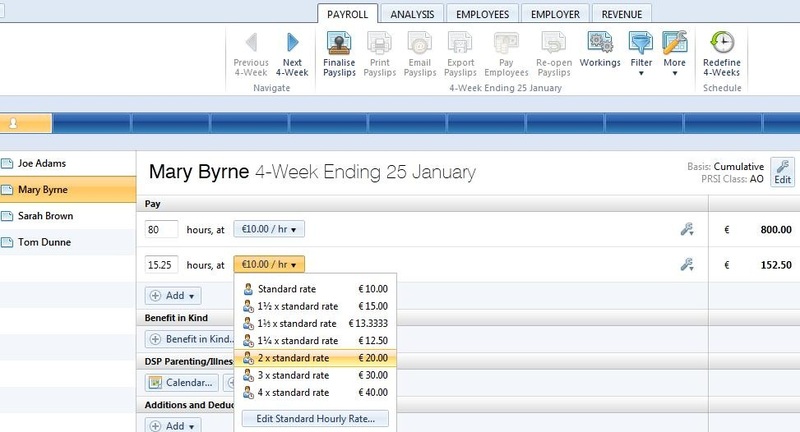 Settings which can be edited within this screen are the employee’s revenue details, their standard hourly/ daily rates and their departmental association. 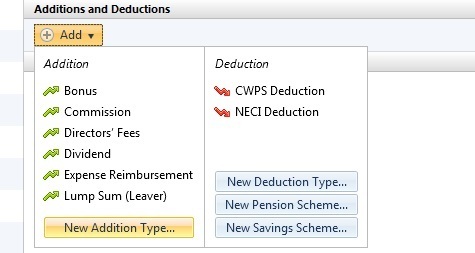 Additions - To set up an addition, click on the ‘Add’ button within the ‘Additions & Deductions’ section. 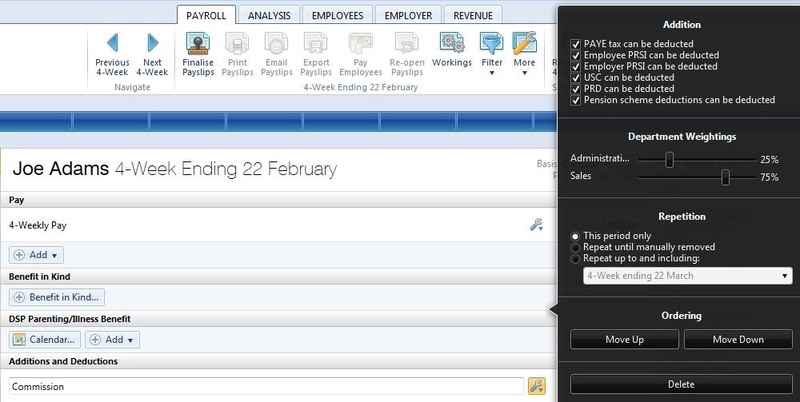 If applicable, select a preset addition from the list and enter the desired amount. To add a further addition repeat this process. If you wish to add an addition which is not available in the preset list, simply choose ‘New Addition Type’. Enter a description of your choice and the amount required. 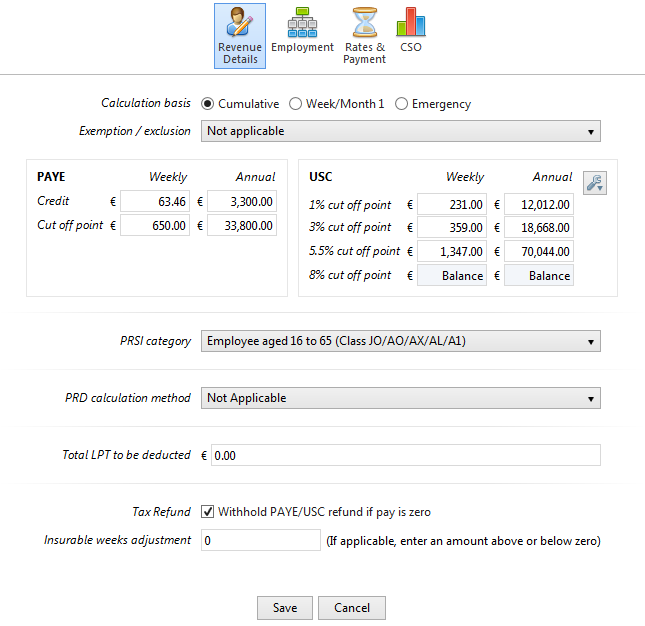 Set whether the addition is to be subject to PAYE/ USC/ PRSI etc. 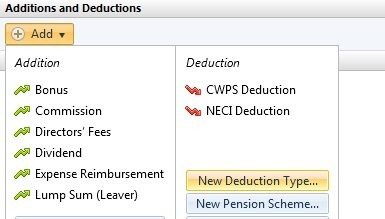 Deductions - To set up a deduction, click on the ‘Add’ button within the ‘Additions & Deductions’ section. 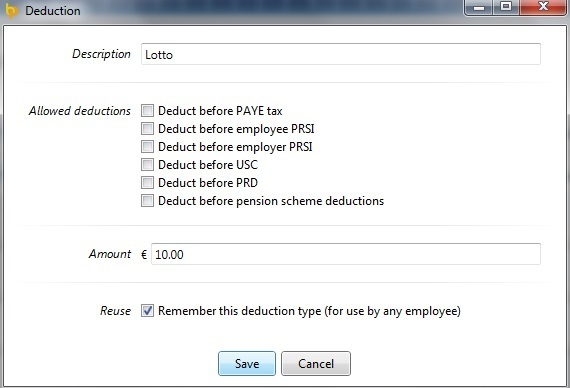 Select a preset option from the list or choose ‘New Deduction Type’ to setup a deduction of your own. Enter the amount desired and description, if applicable. 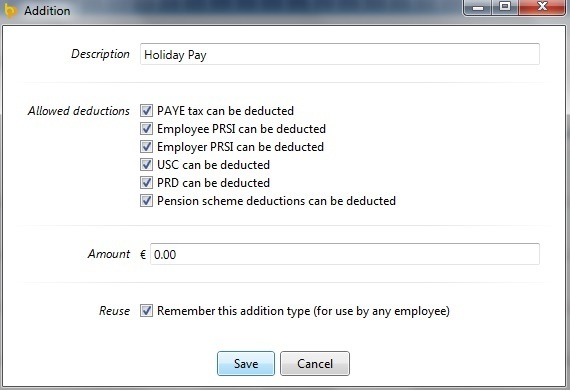 Set whether the deduction is allowable or non-allowable for PAYE/ USC/ PRSI etc. To add a further deduction repeat this process.